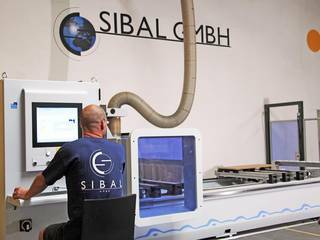 Only qualified team members, who know their craft, care for absolute perfection in the manufacturing process at the Sibal GmbH. 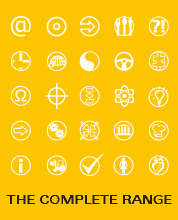 With precision and high pressure, projects get realised in our modern equipped workshops. With our high-grade machinery, that includes an HOMAG CNC work center, a STRIEBIG panel saw, a MARTIN table saw and an HEBROCK edge veneer machine, we do not only create high-class furniture, but also the ideal translation of your communication strategy. But not alone completely new booths occur here, also maintenance work on existing constructions gets accomplished properly by our versatile team between the fair dates. We do not only care for delivery in due time, rather for rapid build up and dismantling at the fairs of this world. Our calculated warehousing and logistics system ensures efficient working and a gentle dealing with the material. 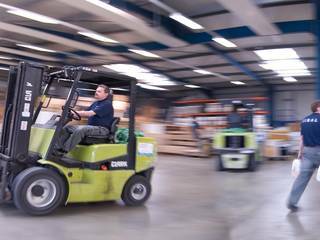 As a customer of the Sibal GmbH, you receive detailed information about current status, storage place and shipping of your material at any time. 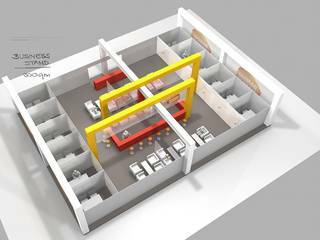 After the fair, the booths of our customers get stored properly in three big warehouses with a total area of more than 6000 m² until the next build-up.